Seattle-based design practice Prentiss + Balance + Wickline Architects is no stranger to creating charming cabins that embrace nature in the Pacific Northwest. 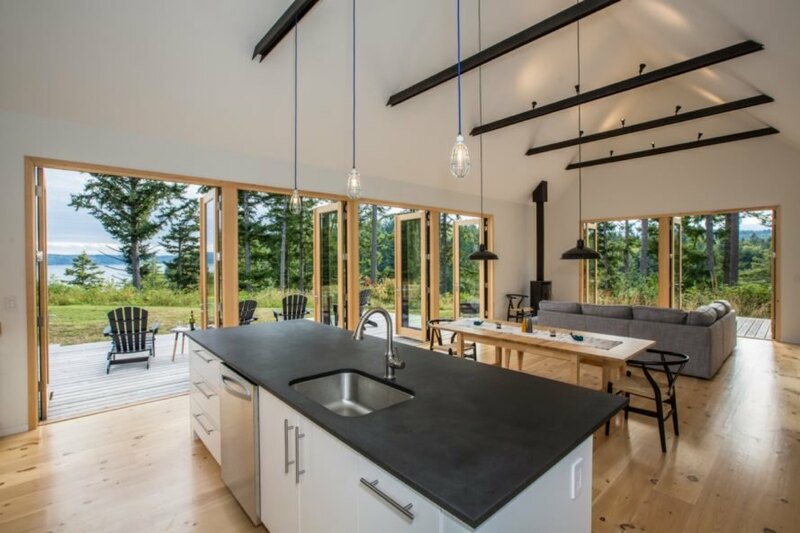 So when a local family tapped the firm for a vacation home on a wooded plot overlooking the Hood Canal, the architects delivered with a clean and modern dwelling thoughtfully integrated into the site. 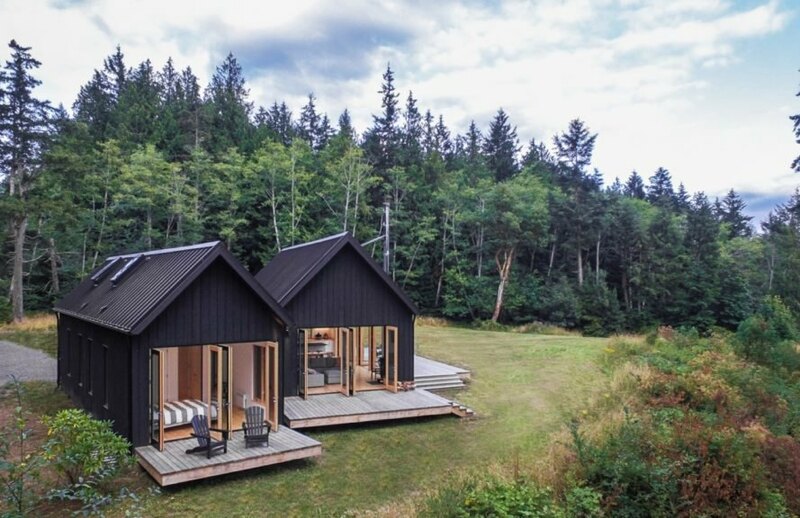 Called ‘The Coyle’, the gabled buildings draw inspiration from the owner’s Danish roots and are wrapped in dark-stained cedar siding to recede into the surroundings. 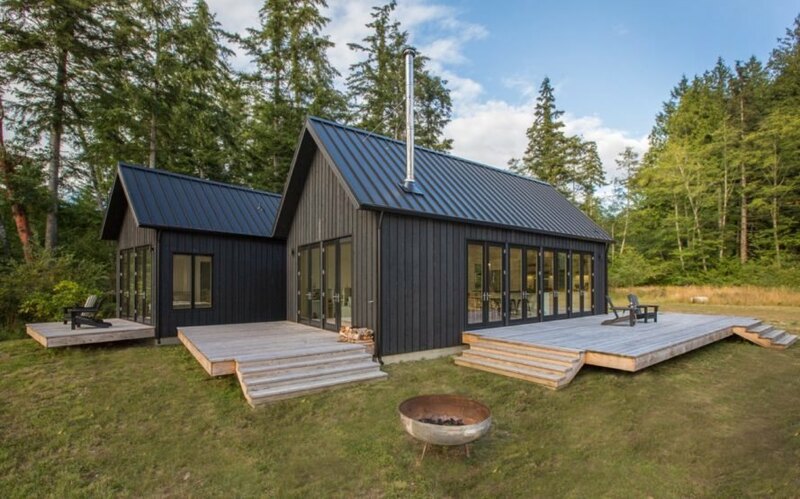 Located on a meadow of a long peninsula facing the Hood Canal, The Coyle is backed by a dense Douglas Fir forest and overlooks views of the water. 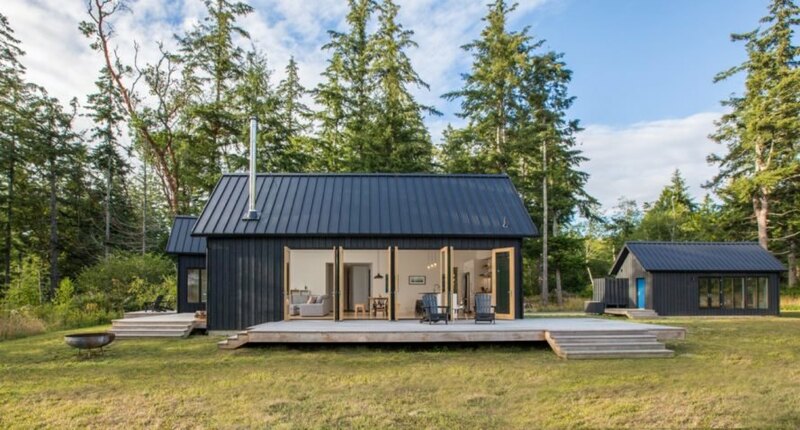 The architects used the classic Danish sommerhus (summer cottage) for the starting point of their design, which emphasizes “clean, economical forms and materials.” Since the clients were on a budget, care was taken to integrate the site’s existing structure, which was repositioned and remodeled. The clients, a family of outdoor enthusiasts, were also keen to adopt an indoor-outdoor living experience. In response, the architects separated the program into three gabled structures, each of which opens up to generously sized decks through wood-framed glazed doors. Ample glazing brings plenty of natural light to the interior, which is minimally dressed with white-painted walls, beamed ceilings and light timber floors. The holiday home is spacious enough to accommodate the client’s family as well as visiting guests. Dark-stained cedar wraps the buildings. 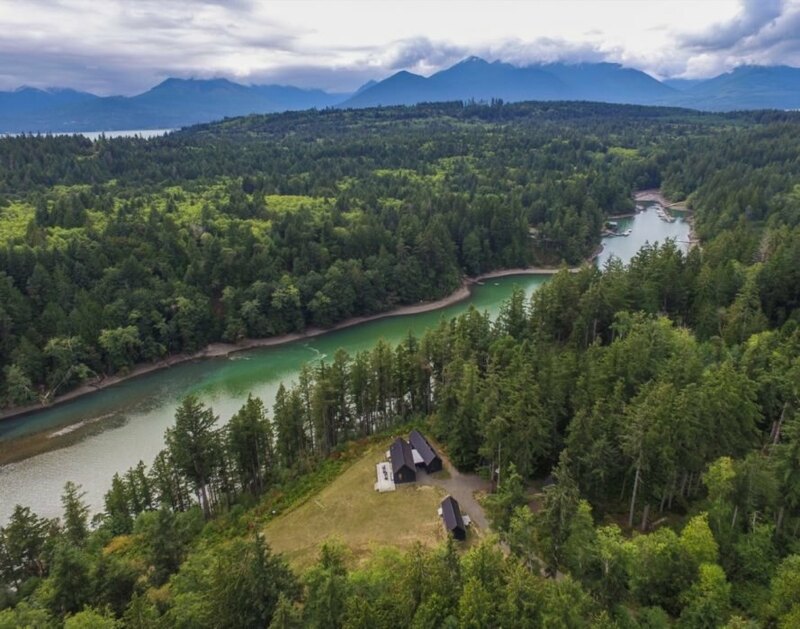 The homes are positioned to face views of the Hood Canal. Natural light floods the living spaces. The open-plan living area features a beamed ceiling. Large decks embrace indoor-outdoor living. Glazed, wood-framed doors open the home up to the outdoors. 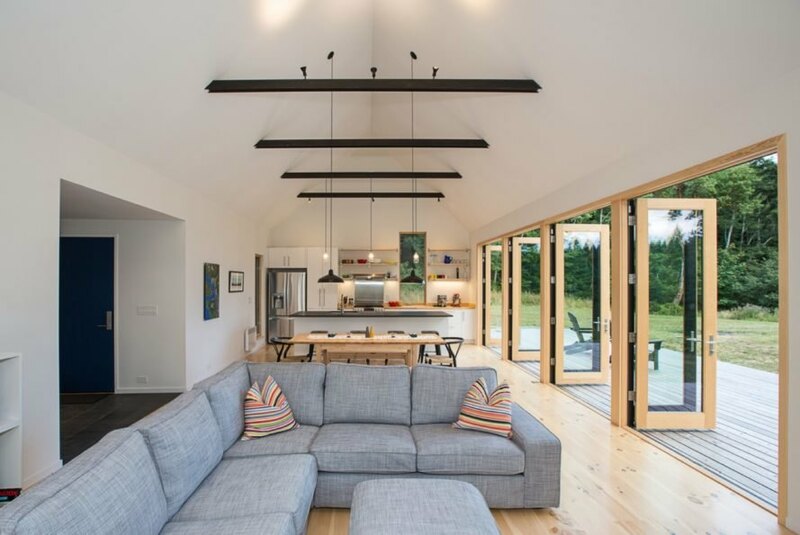 An open-plan great room takes up one of the gabled structures. One of the sleeping areas is located in the loft. The Coyle is split into three gabled structures. A view of the home at night. An aerial view of The Coyle.